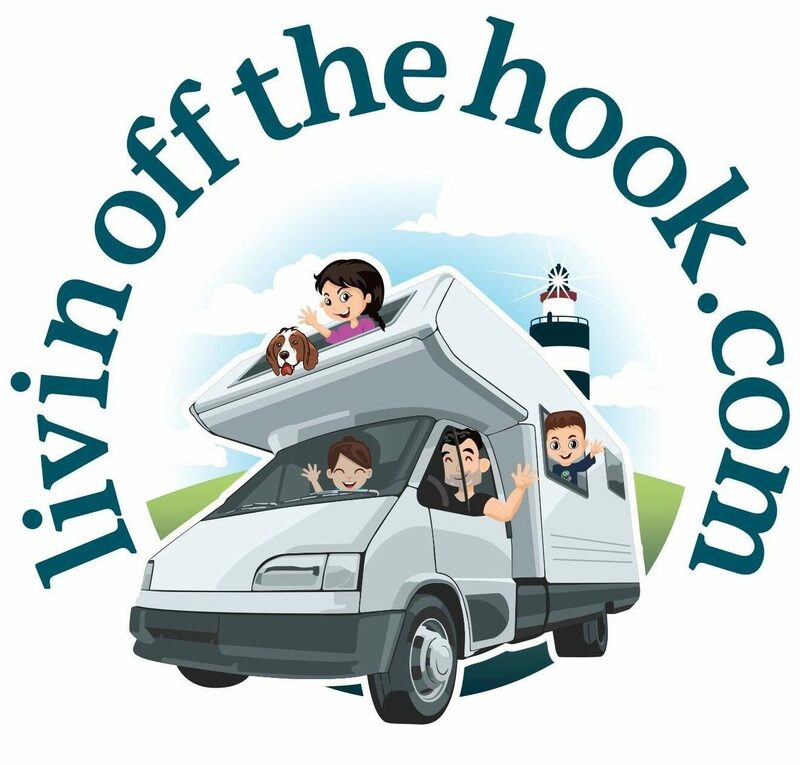 Livin’ off the Hook in every sense is our goal; Liam, our kids, our dog & I are livin’ off the Hook peninsula where we’re from in Co.Wexford, Ireland & we’re also livin’ an alternative off grid, van living, travelling, vegan, road-schooling lifestyle. We’ve been looking for a new adventure & to do it with our two kids. We’ve left our jobs, sold up most of our belongings & bought a 6 berth camper van which we have been living in since June 2018 while we rent out our house & we are making our way slowly around Europe on a budget. The Hook where we are from is a gorgeous rural part of Ireland where Liam worked at the oldest working lighthouse in the world Hook lighthouse and was also the caretaker of another nearby lighthouse. He does Wim Hof method, meditation & goes swimming in the sea almost every day of the year. I was a personal trainer and a lover of yoga and worked from our garage gym taking one to one clients and I have a shop on Etsy where I make and sell crochet lace accessories. I will continue to make crochet lace accessories and clothing on the road. Liam and I each spent a few years travelling around New Zealand, Australia, Asia & Europe before we met & hooked up in 2008. We moved in together and got a puppy the following year. He’s called Buckie, a mental springer spaniel named after our favorite drink at the time Buckfast! Soon after we bought our first camper van for €5k. We loved that camper and used it loads, travelled all over Ireland and did a few weeks traveling around England and Wales where we took a trip to Buckfast abbey and the 2010 Glastonbury festival. Those were the days! I got pregnant in 2011 and we decided to sell that camper. Ellen came in March 2012. She’s now 6 and she is amazing. Alex came in August 2013, he’s 5. We are so lucky, the kids are healthy, happy and just love havin’ the craic. We decided last year to homeschool them…. actually more unschool than school. It’s something we discussed and wanted to do since the kids were babies & it is the best decision for us all. We have been living in our campervan since June 2018 and life is great. We’ve travelled along the coasts of France, Spain and into Portugal which is our current location. We have no plan except to wait in the warmer climates of southern Spain and Portugal and begin to drive to Italy where we will take a ferry to Greece and continue our travels into eastern Europe next Spring / Summer. If anybody reading this has suggestions for must see places across Europe, yoga centres, meet-ups please get in touch.